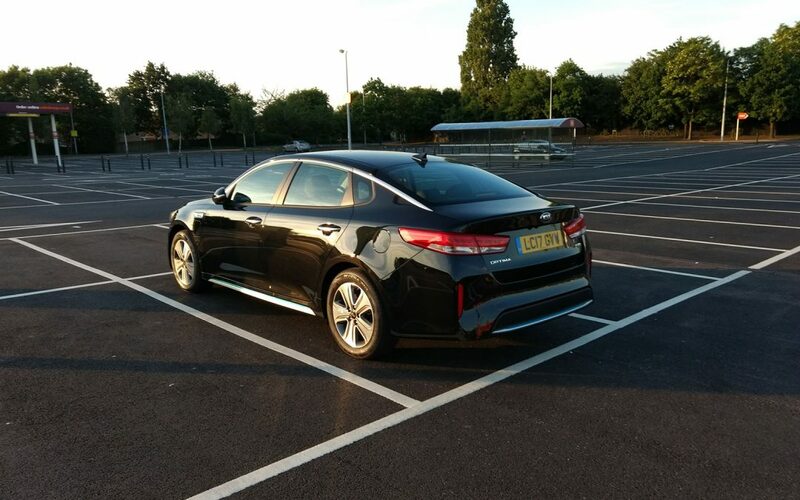 This page is dedicated to our long term review of the handsome Kia Optima PHEV. Updates include how we got on with the car, trips we accomplished, fuel consumption and more. Check back for regular weekly updates. 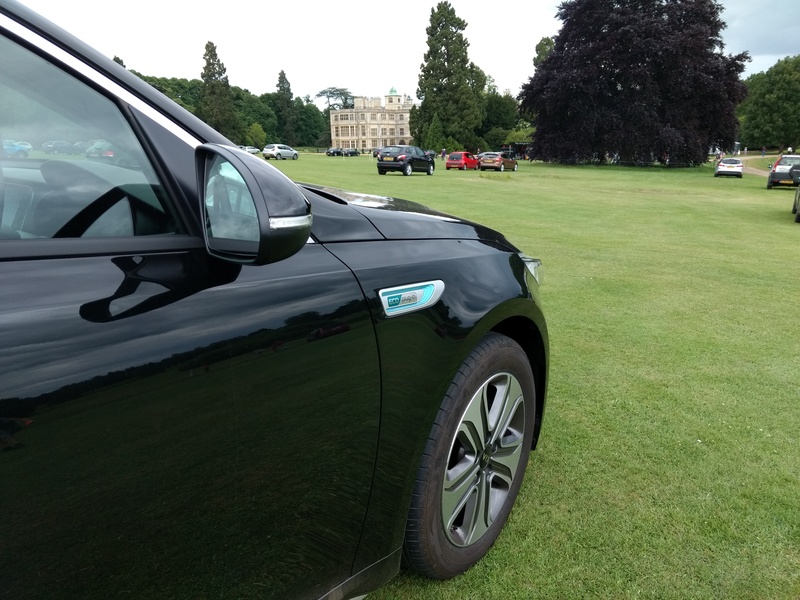 Another week goes by with the Optima PHEV and in many ways, testament to the car is the fact there’s precious little to report. The car just keeps on rewarding me with nothing exciting to say. 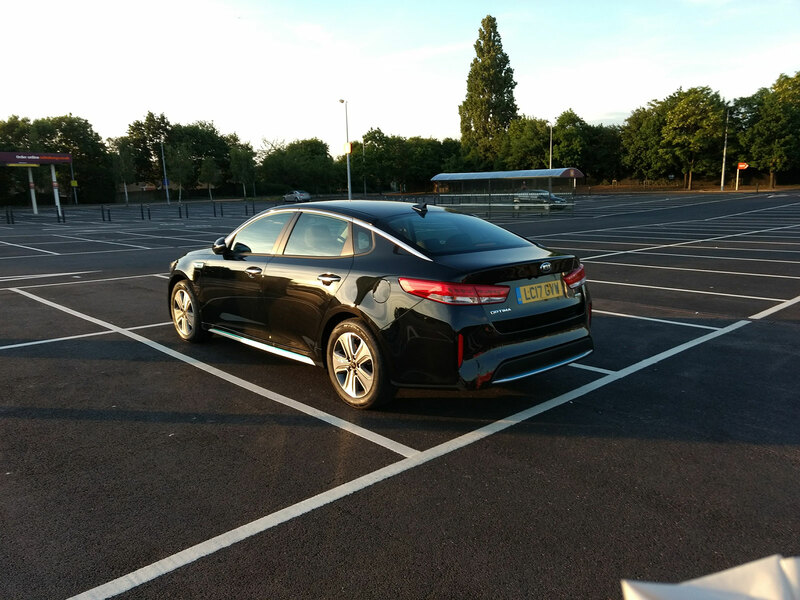 Had this been any lesser car, there might have been mention of the odd gripe – and don’t get me wrong, the Optima PHEV isn’t perfect, but there’s next to nothing to report. So, I felt that I should put the car out of its comfort zone, i.e. 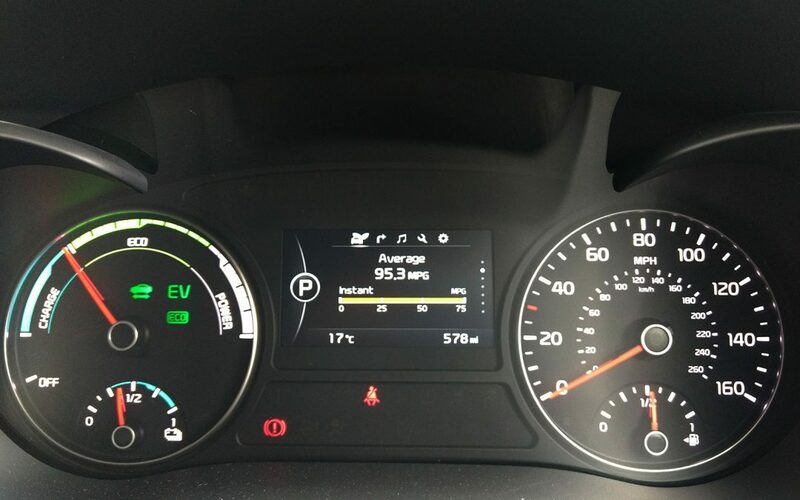 by running the battery completely flat and seeing what fuel consumption was like. 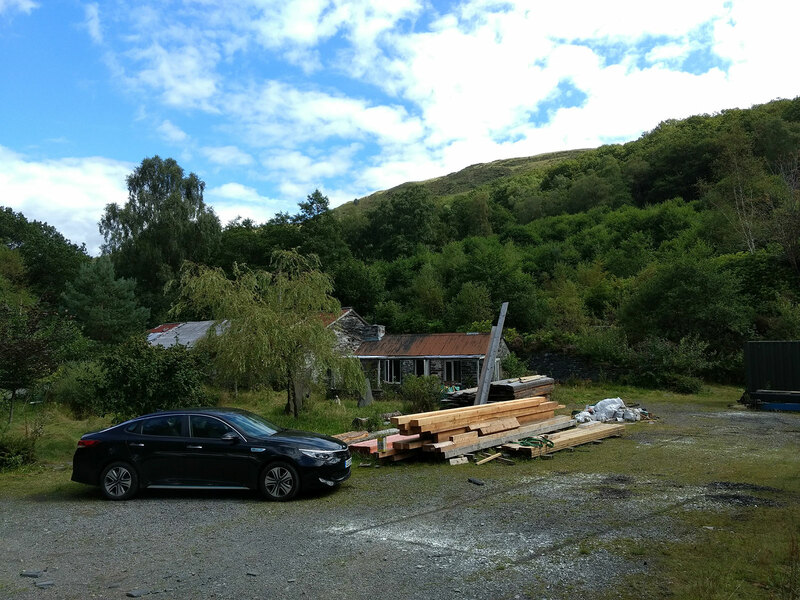 Setting the satnav for mid-west Wales, the Centre for Alternative Technology (CAT), near Machynlleth, displayed 200-miles on the dash. 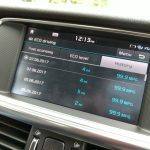 Initially I used the car’s in-built mapping system, which works well but later I switched to Android Auto – for no real benefit other than one small thing. The steering wheel mounted ‘voice command’ button doesn’t work without Android Auto plugged in. It’s a minor annoyance, although I’ve been in other Kia that didn’t support Android Auto and the ‘voice command’ button worked very well. Even disabling Android Auto from the ‘settings’ menu didn’t change anything. 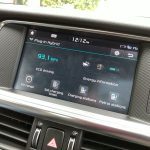 So, to talk to the car, either Android Auto or Apple Car Play should be used. The only real improvement being that you’re then able to call people using hands free or navigate to another destination without taking your eyes off the road. 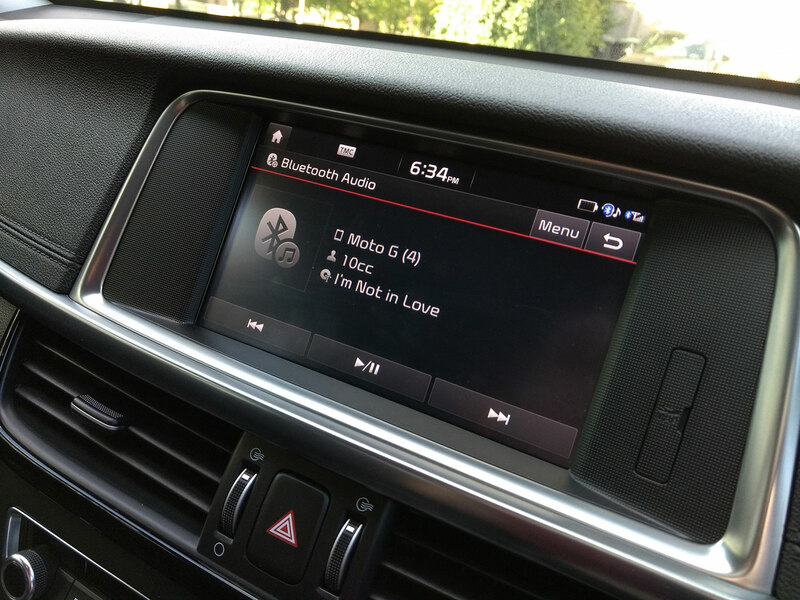 Unfortunately, Android Auto appears to be in the dark ages with respect to texting. 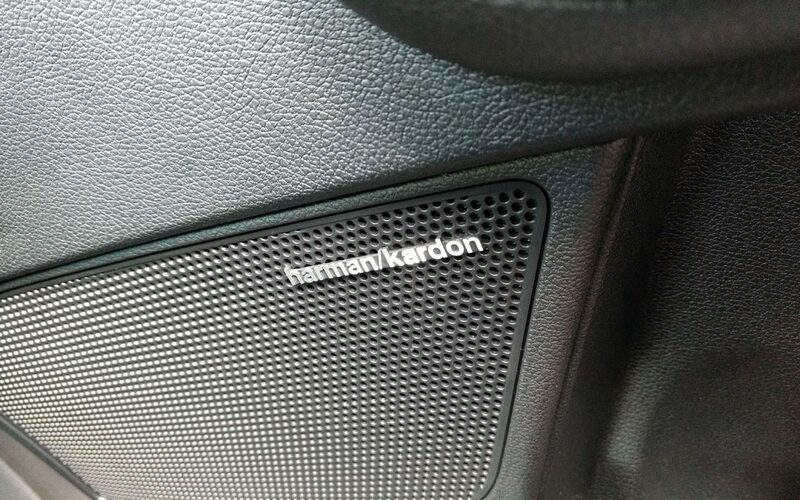 Incoming texts were silent, although they did occasionally display on the Android Auto home screen, but to get them to play I’ve not yet worked out an automated or voice command way to achieve this. My old and apparently out-of-fashion Windows Phone 8.1 with Cortana could do this in its sleep. So much for progress! The route to Wales was almost exactly 200-miles, or a 400-mile return trip. There was opportunity to charge the car at CAT, but it was occupied by a Nissan Leaf that would be plugged in for who-knows how long. 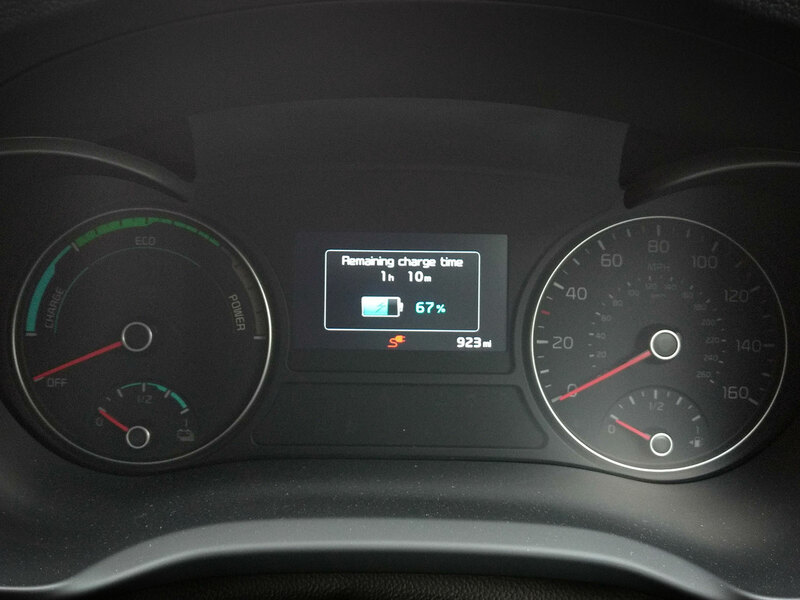 So, the only charge the car had for the entire time in Wales was before we had left St Albans. 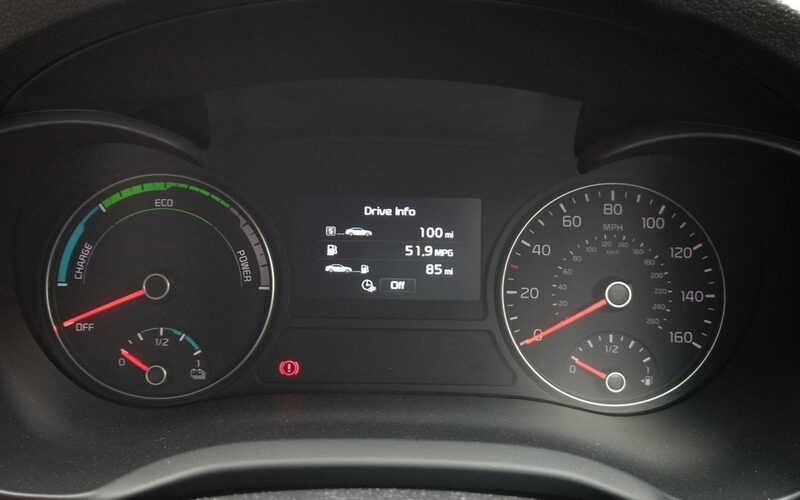 When setting off, the car’s overall average fuel economy since new was a healthy 96.4mpg, over the course of some 1,500 miles on the odometer. 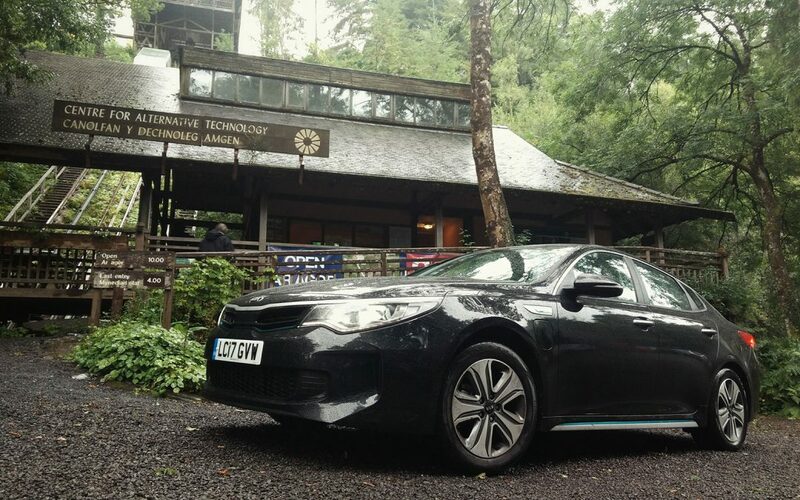 Following the 200-mile trip to Wales, some journeys around Machynlleth and Aberdovey, and then the return journey of another 200-miles, the fuel economy dipped to an overall average of 88.6mpg. 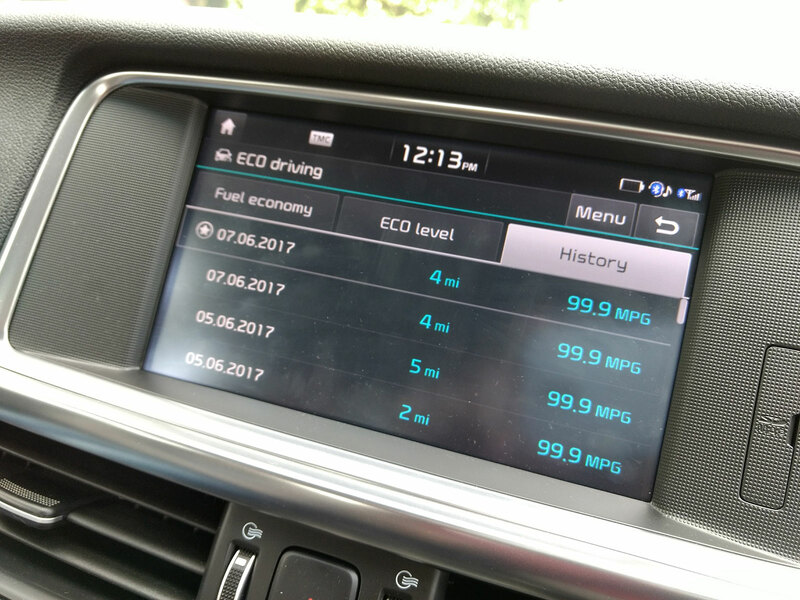 Another week, another improvement in fuel economy for the Kia Optima PHEV (‘Optima Prime’). 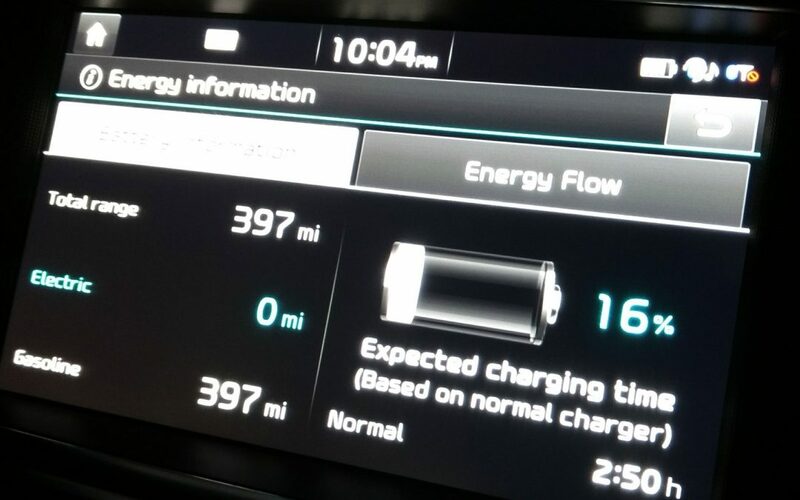 Since the week before, plenty of short trips and warmer weather meant that electric-only mode has been deployed on pretty well every journey I’ve done in the last week. It’s the way the cookie crumbles, so to speak. 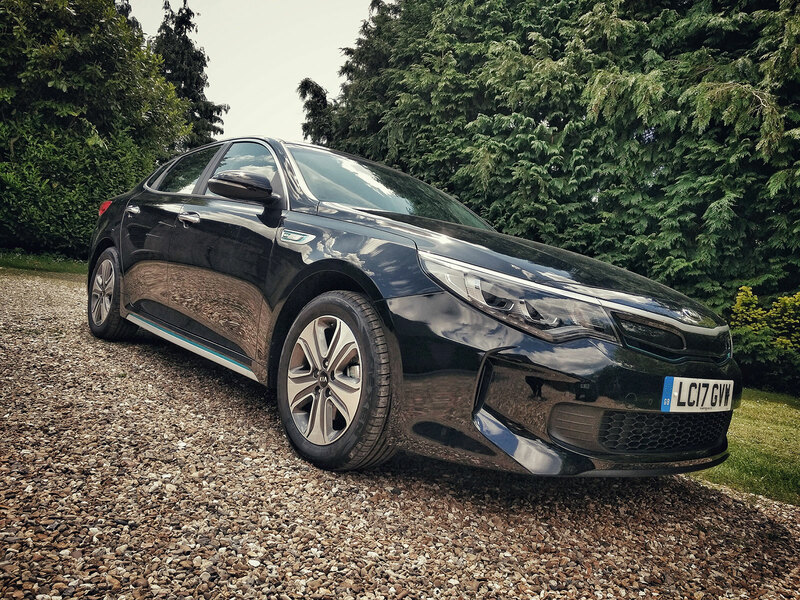 Part of the reason is that, like most motoring writers, I’ve had the use of another car this last week – the Mercedes E 350 e. Nonetheless, Optima Prime has proven itself to be the far superior plug-in hybrid and this is for several reasons. Firstly; range. While the Mercedes officially can do 21-miles, it reports 16 when fully charged and only provides a real-world 8-miles. 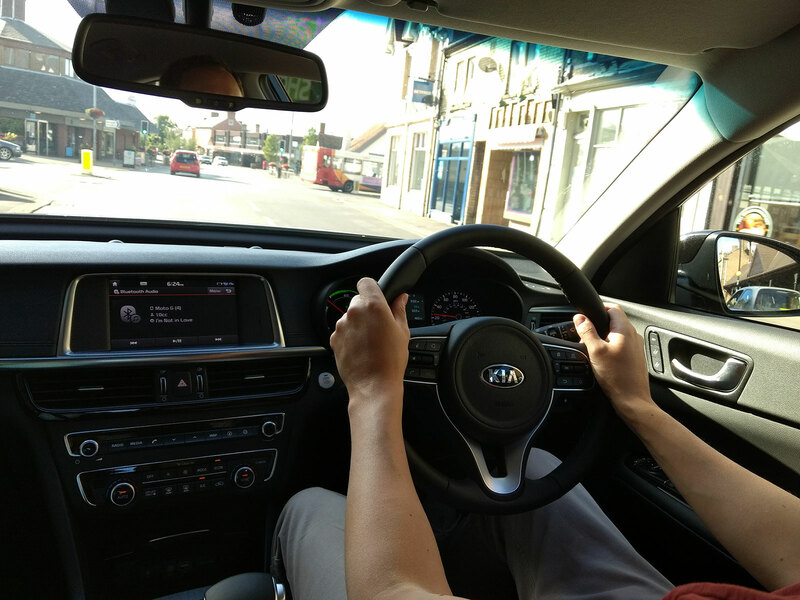 Whereas, the Kia officially does 32, reports 31 and actually achieves 31-real-world-miles. 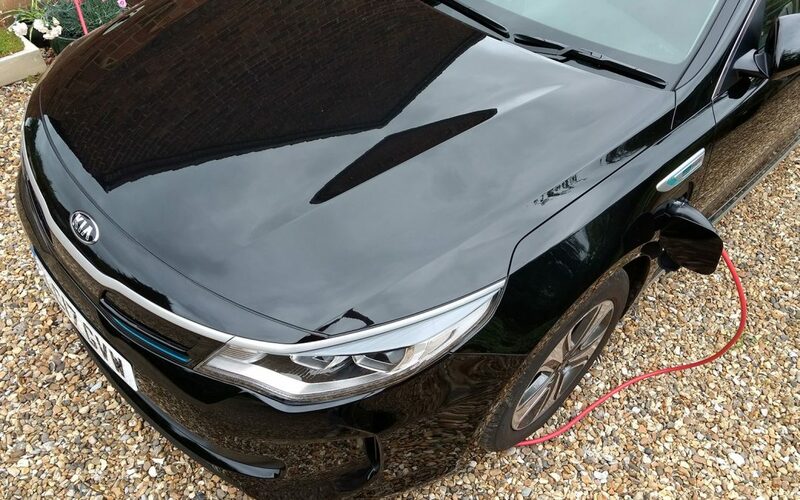 That’s a marked and impressive difference, especially considering the two cars both work using similar technology; i.e. the electric motor drives through the gearbox. The Kia has a 10kWh battery, while the Merc has just 6.2kWh. 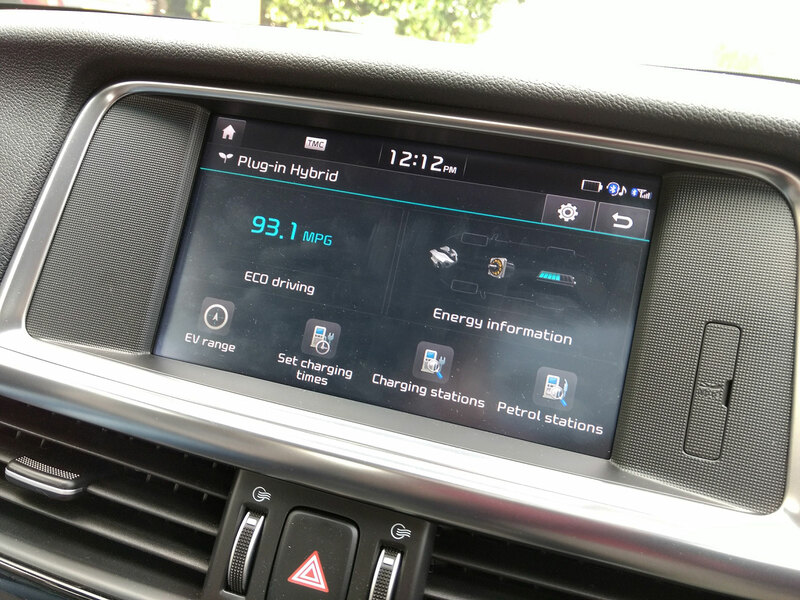 Real-world miles/kWh works out as 3.1miles/kWh for the Kia and a pitiful 1.29miles/kWh for the Mercedes-Benz. 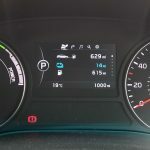 Unfortunately, this also means that it is actually more expensive to drive electric than petrol miles in the Mercedes-Benz. 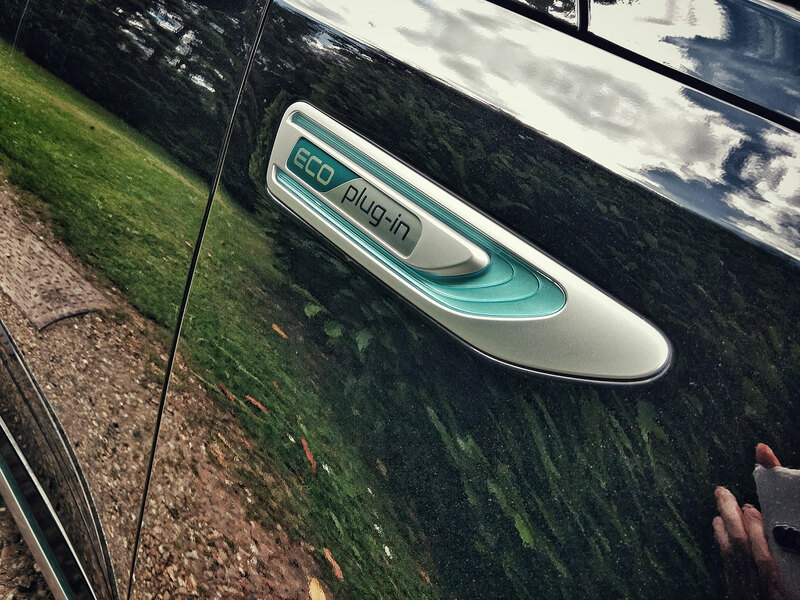 A little maths, for those who’re interested… 16 pence per unit electricity fills the Merc’s 6.2kWh battery for £0.99 and you can travel 8-miles (12 pence/mile). At 44mpg (the average obtained over a week of varied driving) translates as 1-litre of fuel you can travel 9.69-miles, which currently costs £1.12 at my local forecourt. So, to travel 8-petrol miles that’s 92 pence (11 pence/mile). 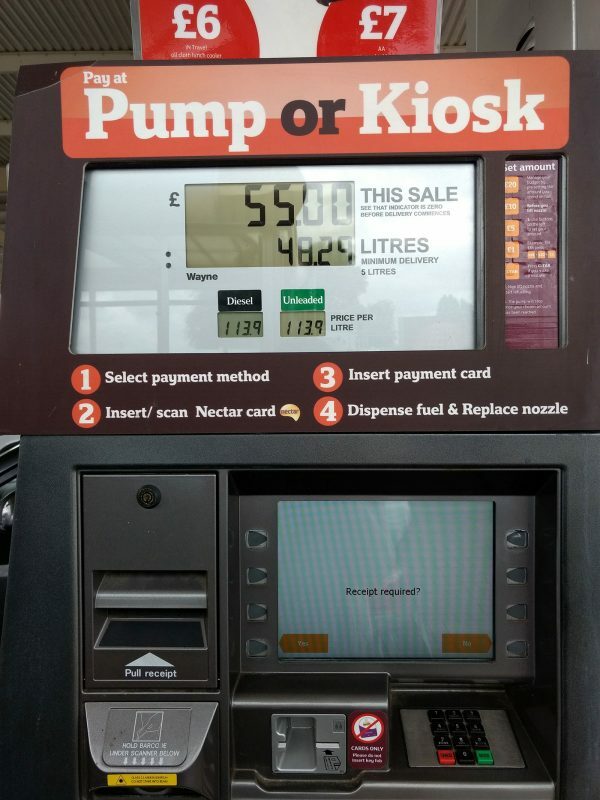 That’s right, it is cheaper to run on petrol than electricity in the Mercedes. And that’s a huge shame. 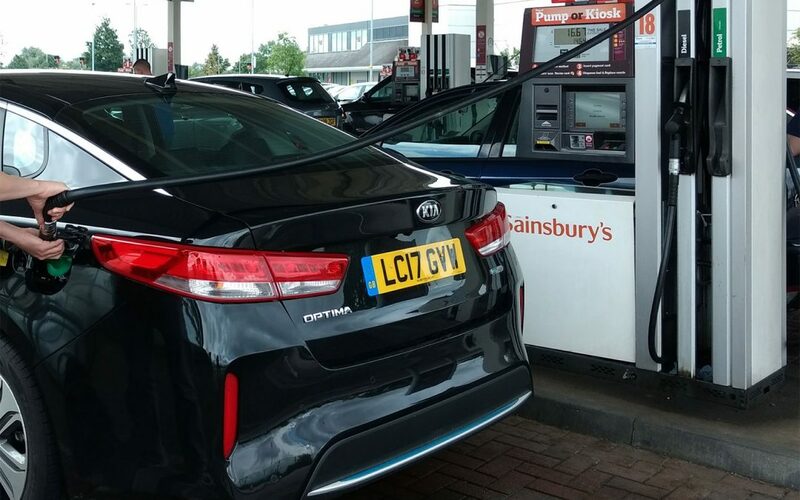 Returning to the Kia and applying the same mathematical logic, electric miles cost 5 pence/mile and petrol miles – so far – have cost 6.8 pence/mile. 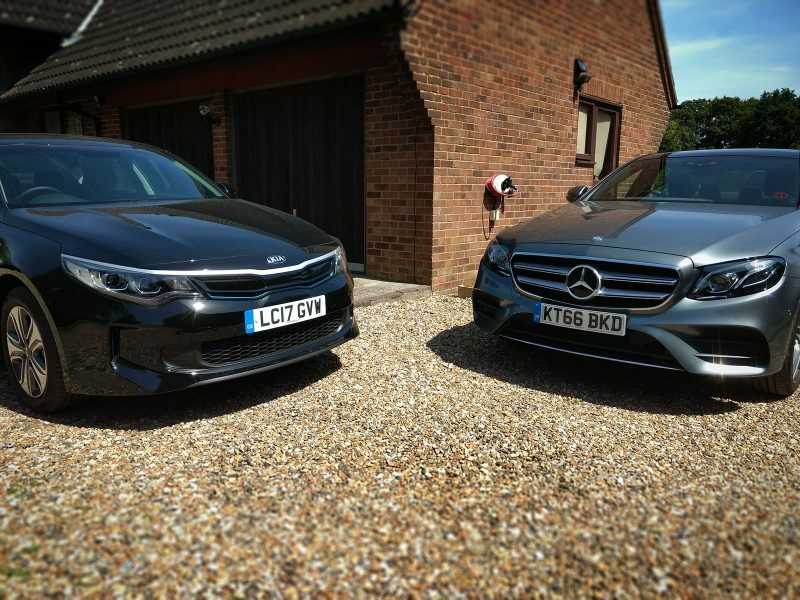 While that doesn’t seem like a huge difference, the Kia is more than half the price of the Mercedes to run in electric mode. 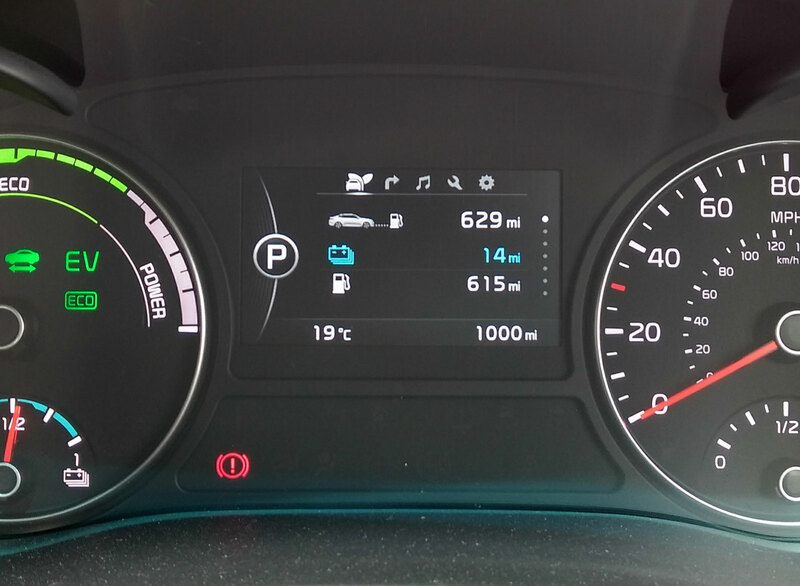 Those same 8-miles in the Kia cost 41 pence compared to 99 in the Merc. 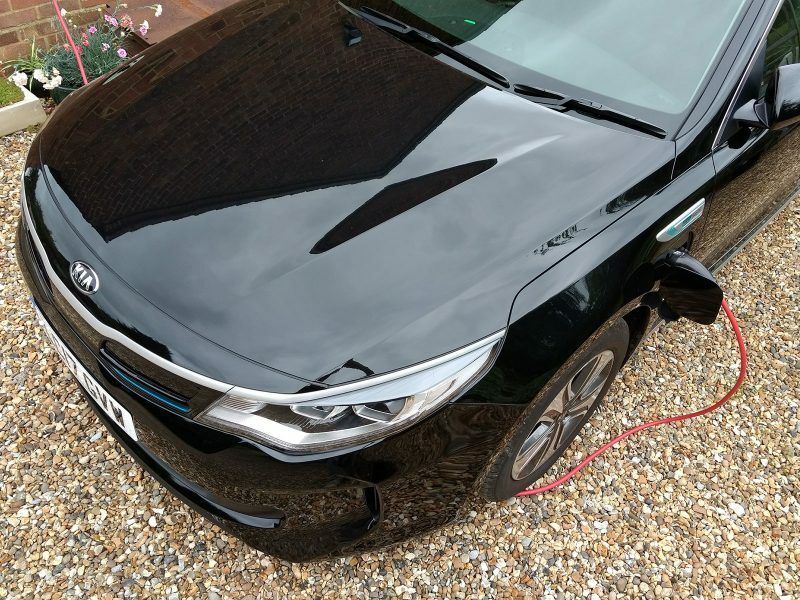 However, in fairness to both cars they’re not really designed to be run in these linear modes, ‘petrol or electric’ and should instead be, ‘petrol AND electric’. 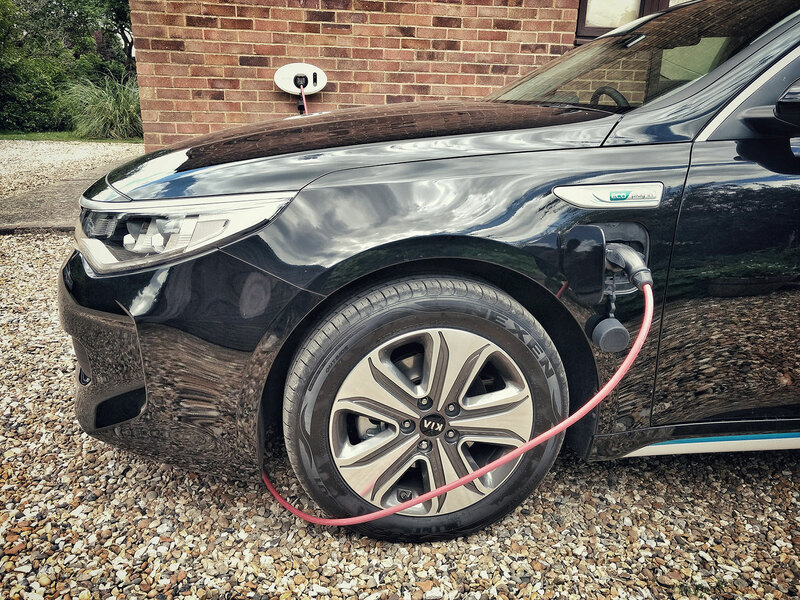 But this is all the more easy in the Optima PHEV, which can run 387.5% further on electric power. 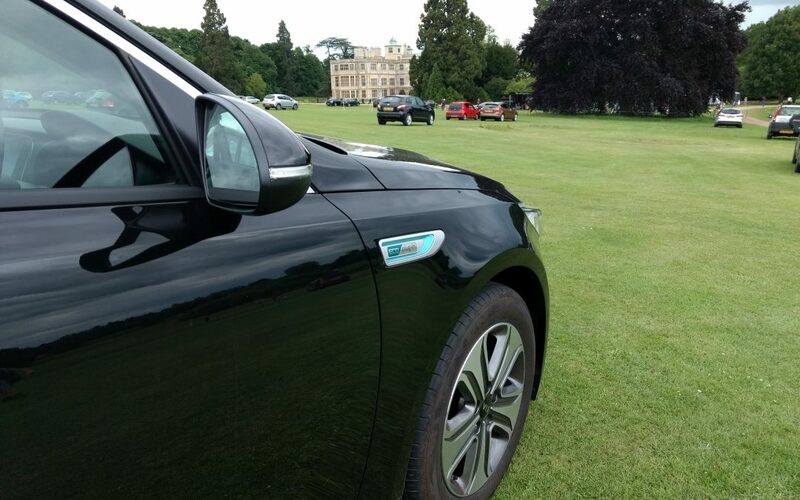 Nevertheless, regarding how they drive the Optima PHEV offers by far the superior electric experience. 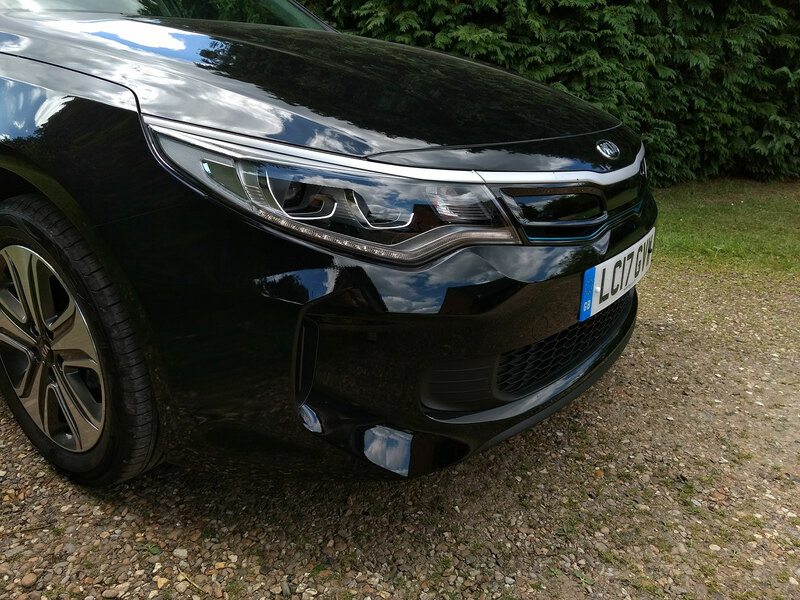 Whereas the Mercedes feels heavy and slow off the mark, the Kia is keen to shoot forwards like a rocket from the get-go, which makes it less tiring and more predictable to drive in traffic. 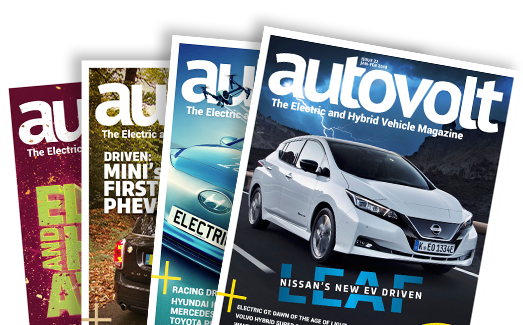 Likewise, the Mercedes – despite its haptic feedback throttle pedal – is all-too keen to start its petrol engine, whereas the Kia stubbornly sticks in EV-Mode unless you really stamp the throttle. 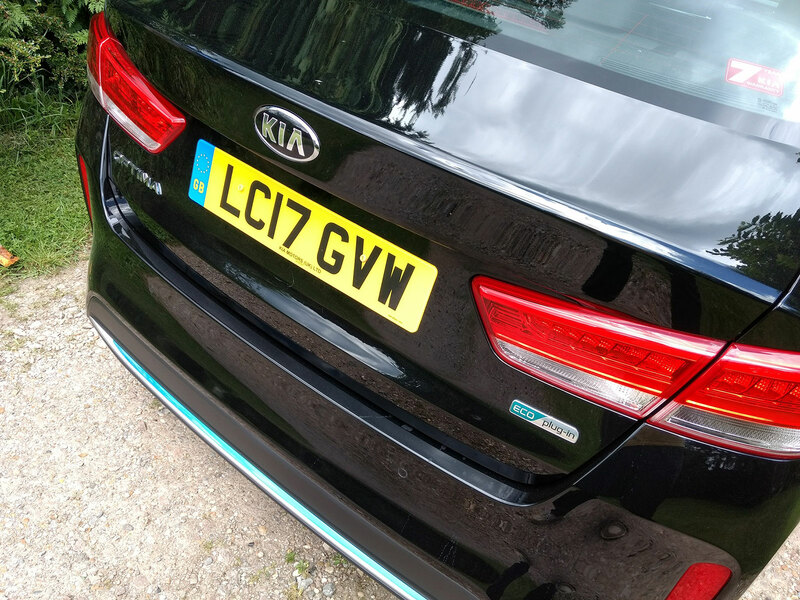 They’re chalk and cheese in many ways and of course, these two cars don’t compete against each other and purport to offer different things to different customers, but in terms of their plug-in hybrid abilities, the Kia is superior without question. And I still have half a tank of petrol remaining.